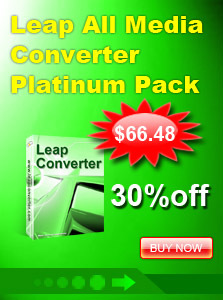 Leap DVD to AVI DIVX MPEG WMV Ripper is powerful, high quality, easy to use DVD converter software which can help you rip your DVD to AVI, MP4, WMV, MPEG with super fast speed and most excellent quality. So easy to use and faster than ever before, just a few clicks to rip DVD to AVI, DVD to MPEG, DVD to WMV, DVD to MP4. Free download and have a try now. 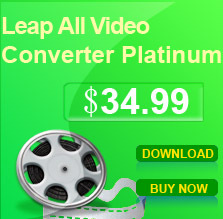 Get the output video formats with super fast speed and most excellent quality.